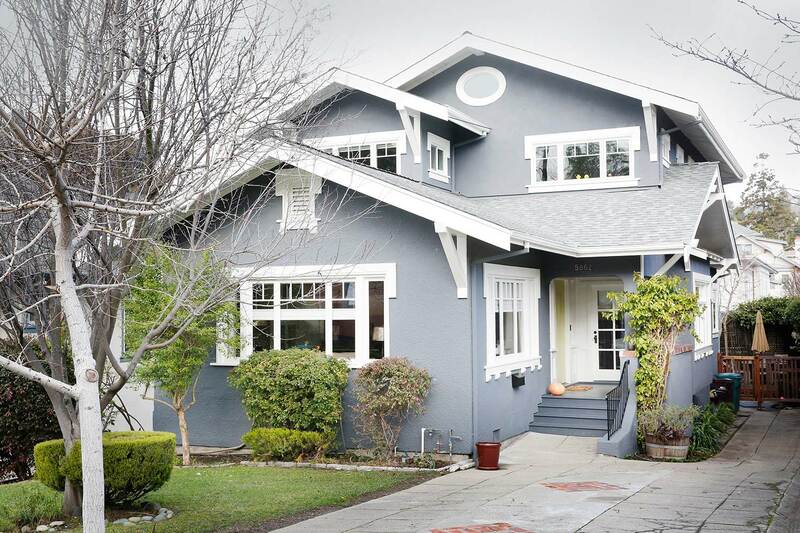 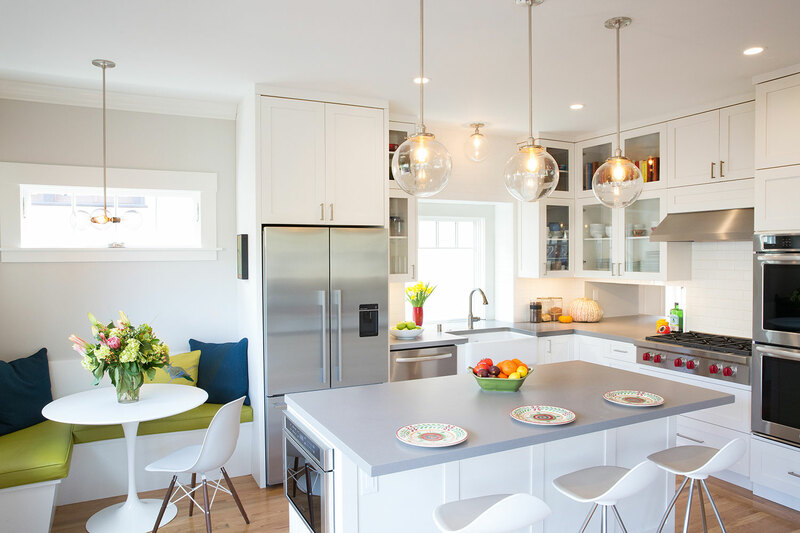 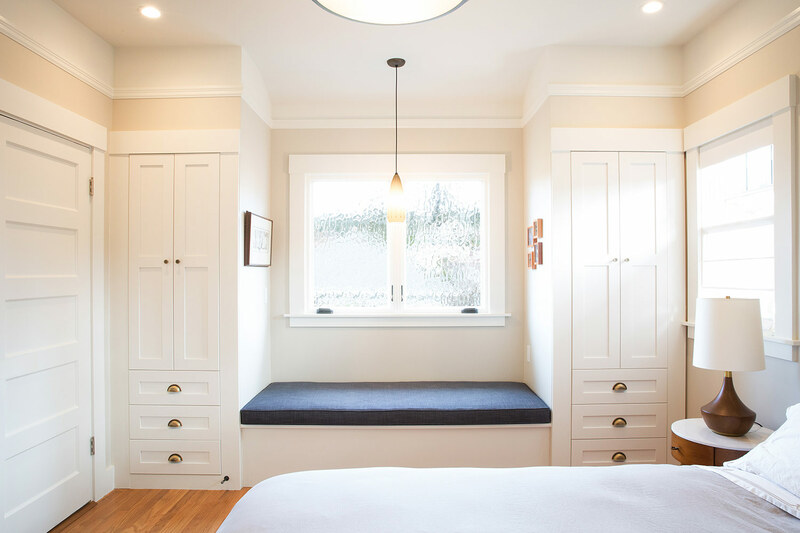 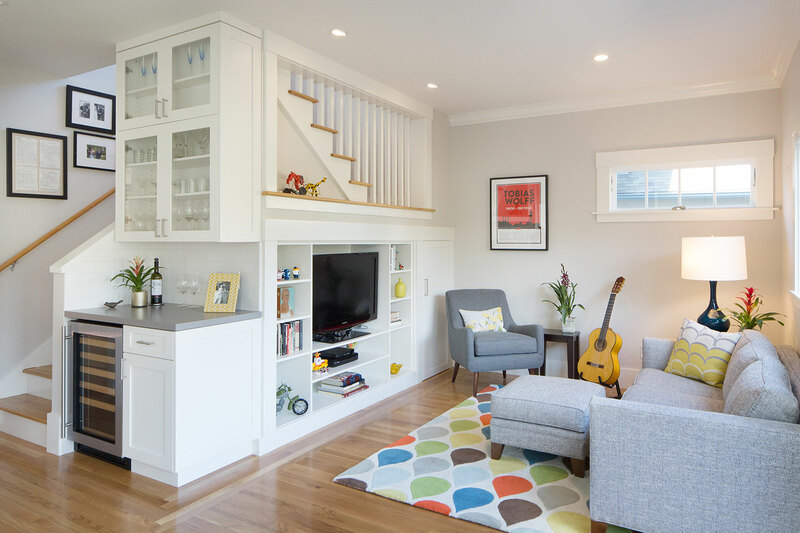 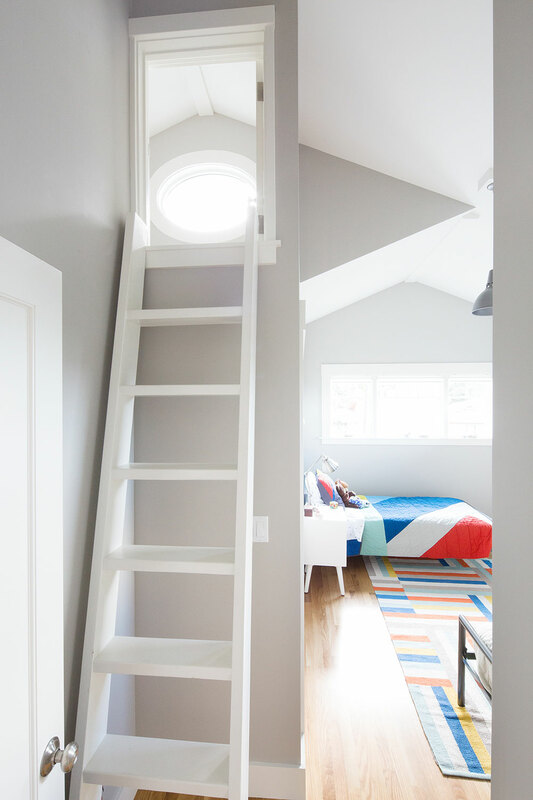 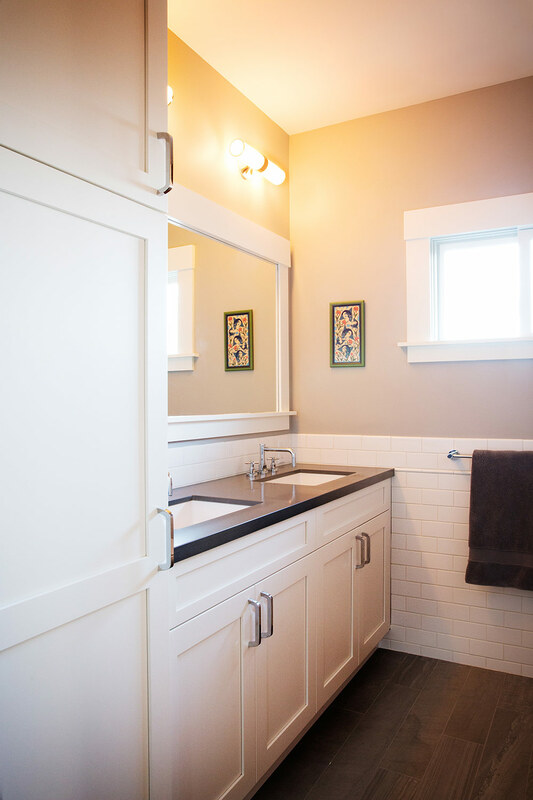 A second story addition to this Rockridge bungalow provided the owners’ desired combination of three bedrooms, two baths, and a laundry room at the upper level. 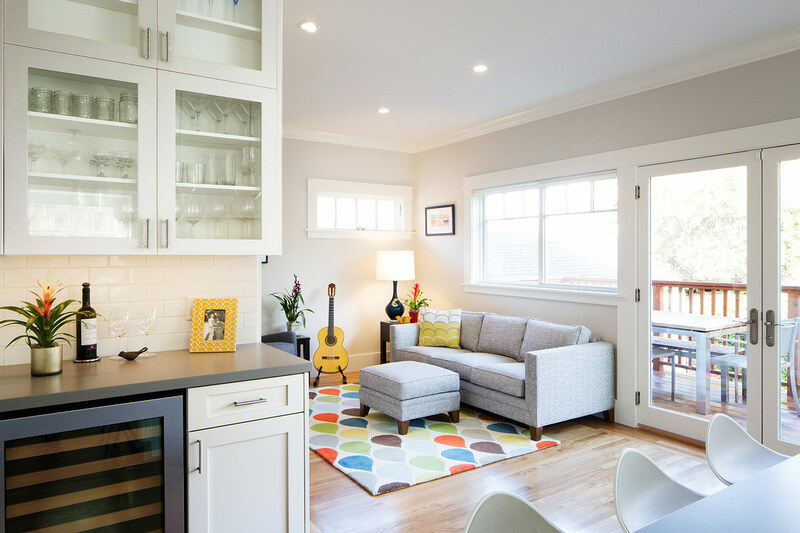 The main floor contains an expanded kitchen and an enlarged family room across the back of the house. 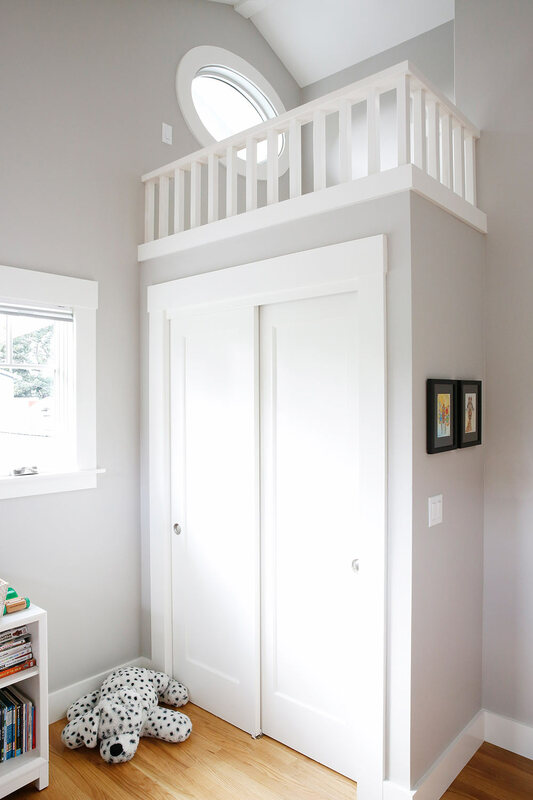 One fanciful treat: A playspace loft created over two back-to-back closets. 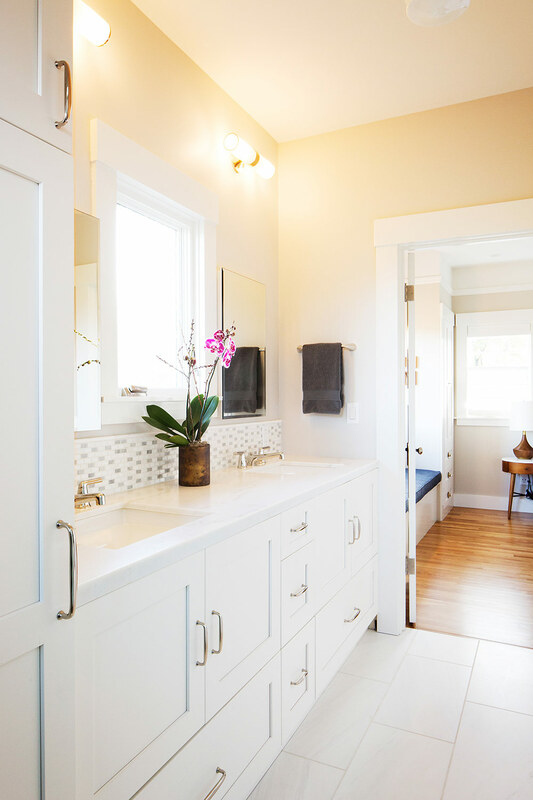 “I love to create unique features that bring joy to my clients’ lives,” says Rebecca Amato.